After the tragic death of his wife, Roger and his son Michael loose everything with the expense of the funeral and have to move into a cabin owned by Rogers’s brother Will, which is situated deep in the forest. On arrival they discover the place has been trashed but with nothing more than broken furniture, some weird hair caught on a nail and a sense of unease about the place they conclude that the culprits are long gone and try to settle in and piece their lives back together. Joined by Will and Sergio, a long time friend of Rogers, they head off deeper into the forest for a weekends hunting and camping trip. It is not long before the hunters realise something rather larger then your average bear is out there watching them waiting for their chance to attack. With a verging on obsessive use of soft focus shots that make your eyes go funny and a fair bit of off screen killings this does seem to be lacking in a number of ways but once you realise it’s the film and not your eyes going fuzzy you can push past this. I do like the fact that the Sasquatches are played by people in suits, in fact I think in this instance its just one guy playing all of them, no one else is credited for it anyway. You only really see one at a time with passing glances of others. There is a part with a family of three Bigfoots (or should that be Bigfeet?!) though so I’m assuming more actors were involved. For once they get a fair bit of screen time rather then just the odd glimpse here and there, the only down side being that they do give off a sort of Harry and the Henderson’s vibe at times so could have done with looking a bit more ferocious! The effects aren’t great but they all seem to be mostly practical although maybe they shouldn’t have got too close with the cameras on some of the tearing off of limb shots as they are a bit naff. 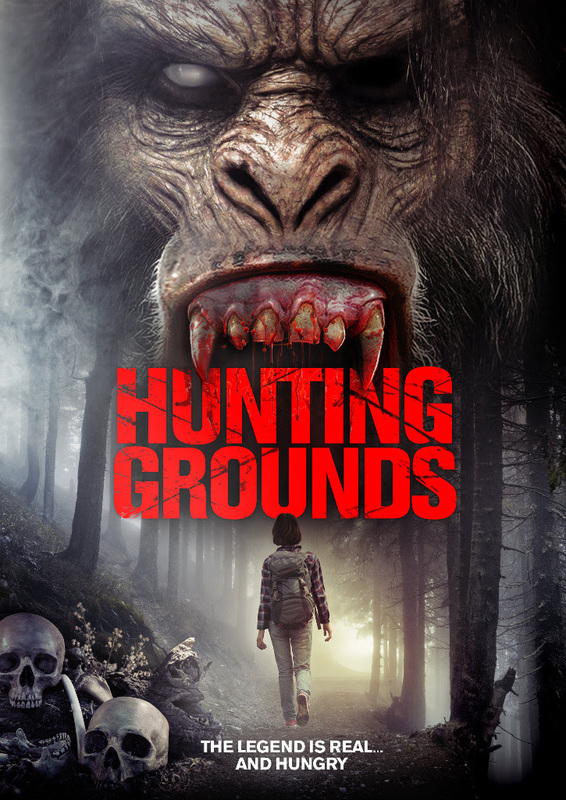 The acting from all involved was fine, with Bill Oberst Jr making a brief appearance as Bauman, a lone traveller who gets abducted by the Sasquatches. Jason Vail as Roger and Miles Joris-Peyrafitte as Michael work well as father and son and you end up routing for them by the finish. The music is good so combined with the (endless) soft focus shots it does succeed in creating an effective eerie atmosphere. It’s definitely not awful but at the same time nothing to rave about, that being said I’m sure it will appeal to Yeti fanatics.